It’s not a secret that lenders normally offer the lower interest rates and higher credit limits to those that present the lowest level of risk. Lower rates means lower monthly payments, which ultimately translate to more money in your pocket. But nowadays, it’s not just all about getting the lower rate — your credit score can also be a deciding factor when applying for a job or renting an apartment. So for those of you who are not a big fan of being in debt, there are other essential reasons why you’d always want to maintain a good score. 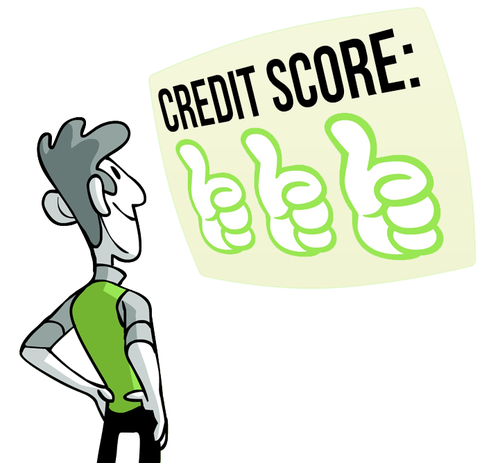 Here are some simple tips that can help you maintain a solid credit as well as avoid excessive fees and interest rates. 1. Pay your balance in full. This is the best way to manage your credit cards. It will not only save you money on interest charges, but it also demonstrates that you are able to live within your means. If you can’t pay the full balance, however, it’s important that you at least bring your balance down significantly, which brings me to my next point. 2. Maintain your balance below your credit limit. Try to keep your balance below 70 percent of your limit. This shows that you can manage credit and it also leaves credit available for emergencies. Set up periodic alerts from your financial institution to remind you of your current balance versus credit limit. They are usually free and you can choose how you prefer to receive them, email, SMS, Push (for smartphone users). 3. Always pay on time. This may seem like an obvious one, but with so much going on in our lives a slip-up up may occur. Paying your bills on time is extremely important because it shows lenders that you are trustworthy. Plus, who likes to pay late fees? Use Manilla.com to get bill pay reminders. Utilize tools like bill pay and automatic payments from your checking account, and you’ll never have a late payment. Set-up alerts to get notify when your payment is coming up due. 4. Sign up for a credit monitoring service. I’m a big fan of how these programs work. They keep an eye on your personal information, and quickly alert you to any activity on your report so that you are informed at all times. In addition, some of them provide a credit analyzer “What if?” tool that uses your actual credit data to show you how a specific scenario can affect your credit. This is one of my favorite tools because it gives you a chance to evaluate the potential consequences of your financial decisions before they affect your credit. I personally use Identify Guard and pay a small monthly fee to have access to all three credit scores and reports. There are also free options such as Credit Karma that only provide you one of your scores but still give you access to your reports and credit monitoring. 5. Avoid cash advances. Cash advances are subject to higher fees and interest rates. So unless you have an emergency and you’ve absolutely explored all other possible options, stay away from them!